The Grand boinking of Bram Urban ArT. To date this is the most advanced Bram Urban album. By growing with the complexity of both Mouth of Ash and Synafleur something new emerged. 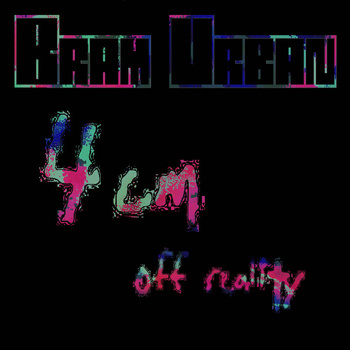 4CM's usage of robotic noise and choppy audio manipulations push out of the youthful realm of creation that relied primarily upon MIDI Drum Machines and Keyboards This album marks a turning point in Blanton/Brams evolutionary pop nature encouraging comparison to what was before and possibilities yet to emerge. Still holding tongue in cheek as experimental brushes the edges of a distorted view of commercial music. 4 Centimeters Off Reality necessitated the creation of OddBlossom as a viable expression rather than just an archive of the past.